A classy little bar with amazing views of the city. If you appreciate quality drinks at competitive prices, and a stylish, scenic setting to sup in, then raise your glass for Epernay. Epernay, Great North Tower, Watson Street, City Centre, M3 4EE. Epernay, the proud stockist of around 150 types of champagne, has landed in Manchester’s Great Northern Tower. This first floor bar adds extra fizz and flavour to Peter Street’s social scene, and is already a hit with those looking for a taste of the champagne lifestyle. 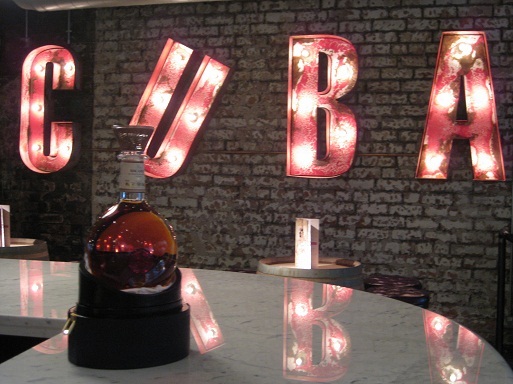 Revolucion de Cuba Manchester is a stunning 2 floor bar and cantina just off of Manchester's busy Deansgate. Drink, dine, relax and dream you're a world away. The exciting cocktail menu and amazing Cantina menu will keep your taste buds tingling! Live music, and a late night party not to be missed wait in the downstairs 'Havana Club Rooms', where we will be dancing the night away.